Peugeot defies odds once more by winning the ‘Diesel Sports Car’ award with its RCZ HDi 163 model. This is a great success for Peugeot. The superb RCZ HDi 163 managed to beat the likes of the Vauxhall Astra GTC and the MINI Roadster to take the award. During the RCZ’s ‘design-mode’ years, few cars have caused such a stir. Well worth the wait though. This is a sleek, jaw-dropping, show styled coupe that is a match for any class leader. Features are distinctive, such as the RCZ’s double-bubble roof and rear windscreen that blend well with the aluminium roof arches. In fact, everywhere you look there are eye-catching details including an electrically operated spoiler that rises automatically at speeds above 53mph. The new car illustrates Peugeot’s commitment to capture the standards of the brand name; style, quality, durability and above all affordability. 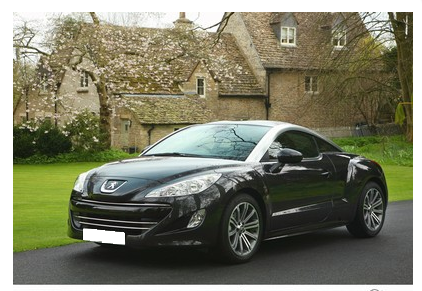 Ian Robertson, Diesel Car editor, brings our attention to the trendy exterior design and curvy shape of the Peugeot RCZ and there is no doubt that this glamorous coupe, with its road-hugging stance, is one very attractive and striking car. It is also practical, elegant and roomy. This top of the range model has impressive specification as standard and is available in a range of sophisticated colours and paint finishes; solid, metallic and pearlescent. The Peugeot RCZ has the kind of looks that few cars can match and is bound to raise a brow or two when you pull up at the traffic lights. If you’re looking to lease a new Peugeot contact our sales team. Alternatively, visit our website where you will find new and used Peugeot’s available for sale or on finance.